Education is the prerequisite for sustainable development of any society or economy. The purpose of education, therefore, should not limit to building careers but also envisage developing a generation of vibrant minds that has the potential to develop a vision and contribute to nationbuilding. Despite political parties and governments at the state and central levels having vowed in the name of improving the scenario of education in the country – and have succeeded at it to some extent –conditions in India remain dismal. The trend in India suggests that government policies alone cannot improve the current status. Besides the issues of access to education in rural areas, there are several social factors such as discrimination on the basis of caste and gender that need to be addressed for education to become a reality. It is for these reasons that the Right to Education Act, 2009, lays down that schooling is free and compulsory for all children in the age group of 6 to 14 years. However, what it fails to address is the quality of education that will be provided in the process. The complexities and opportunities in the field of school education are numerous and exist across the public and private sectors. It was with this backdrop that experts from across the country came together at the World Education Summit 2014 to discuss various issues and the road ahead for taking school education to the next level. Business Development Manager, DLP Product, Texas Instrument India Ltd. The recognition of technology as a potent tool for change has been there for quite some time now. The use of technology in education too has started gaining acceptance in schools. 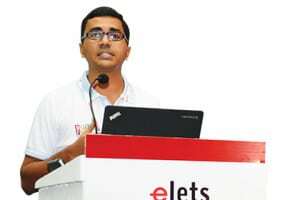 “About 50 per cent of projectors sold globally go to classrooms, and in any technically-enabled classroom, 25 per cent of the budget goes in projectors,” informed Ganesh S, Business Development Manager, DLP Product, Texas Instrument India Ltd.
Technology, as a tool, is often contradicted with the view that it does not have the potential to replace the existence of teachers in the education system. 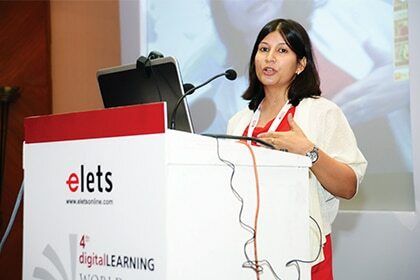 Stressing that tools don’t alone have the power to change education and it is the teacher who has to finally bring that change in the teaching process with technology, Shalini Nambiar, Deputy Director – Education, Gems Education, wondered why mobiles and Facebook etc are banned in schools. “Why are children still carrying heavy bags? With such fascinating stuff happening and market players existing, why is it that just 10 per cent of schools are taking the leap with technology? Children today should not be carrying those heavy bags when we have e- books,” she exclaimed. Shanti Krishnamurthy, Principal, Chinmaya International Residential School, Coimbatore, also had a similar take on the technology versus human interface debate. “Even if the tools are there, students still say they need a teacher. For smarter classrooms, you need smarter teachers,” she pointed out. However, schools that don’t absorb the change will be left behind, she add- ed. “The objective is not to replace your current teaching learning process, only enhance and complement it,” said Rishi Karan, Founder & Director, Tabkids. Tabkids is intended as an activity start- ing from (Pre) Nursery/KG till the second standard varying between 20-45 minutes as per schools’ convenience and timetable. With the advent of technology in education also comes the challenge for teachers to remain relevant and updated. Ratnesh Kumar Jha, Manag- ing Director, South Asia, Cambridge University Press, put forth an interesting viewpoint. “Economy is changing and also bringing changes to adjacent things – education is one. Students today have more than 20 technology tools to gain information from. So, when they come back to teachers who have the same book, they are not too interested,” he observed. The use of Information and Communication Technology (ICT) worldwide has seen a huge spurt in recent years. However, India still has a long road to travel to match global standards. “When I visited various countries in Asia in the 1980’s, I realised that they had classrooms with technology that we don’t have even today in schools,” said D R Saini, Principal, Delhi Public School, RK Puram. “Today, we have introduced ICT in a big way and this year, 720 of our students have qualified in the best colleges across the globe, including the Ivy League, earning total scholarships and financial aid worth `178 crore and Rs 65 lakh respectively from foreign countries,” he added. Learning is not about cramming textbooks anymore and technological tools have made critical inroads into education. The ways through which technology can be used to enhance critical thinking and literacy skills is a key focus area. “The population of India in the 0-24 age bracket is twice the population of US. When will we have the ultimate technology which will revolutionise education? Maybe this will never happen,” said Rakesh Rathi, Head – Education Vertical, RICOH India Ltd. Technology predictions can be very hard to make, he observed. “So how do we customise our teaching to a group of children completely different in their style? Technology is on its way to achieving that,” added Rakesh. With changing times, students and their attitude towards learning have also become different. “Today’s child is global and we remain in our cocoons,” observed Manju Gupta, Principal, Kothari International School, Noida. “Even if I want to reduce the curriculum in the interest of the children, we are not able to do that,” she added, citing civil society pressure on performance and achievement. The younger generation is today more well-versed in technology than you and I were at their age. Apart from technology, the demands of today’s world are also not limited to academic excellence alone. In this rapidly changing scenario, we need to take a look at some of the emerging trends and practices in school education and what educators in India need to look at to keep them abreast with the rest of the world. Different industry experts had different trends to discuss. Sports as a module integrated into formal education has gained prominence for the past few years. Sports have the power to unite people, says Arun K Khetan, CEO, Sports Education Development India Limited (SEDIL). Commenting upon the need to encourage sports in schools, he said, “Out of the 48 Olympics held till now, we have participated in just 32, but won only less than 1 per cent of prizes. The scene is not better in other international sports events as well.” Another trend that is fast catching up with schools in India is mainstreaming. “Students with disabilities have been kept in different schools. Today, every second child has some problems and therefore this aspect has to be looked into. Special Education Needs cells are required in schools,” said Neeta Bali, Principal, GD Goenka World School, Gurgaon. In the coming decades, India is poised to be sitting on a huge demographic dividend and this, many believe, could be the golden period for this country. However, there is a huge amount of concern when it comes to the quality of manpower that we produce to reap the benefits of this ad- vantage that we have. “So much churning is happening in the world of education. The big debate is unemployment versus unemployability, one-size-fits-all versus differentiative learning, creativity versus programming and content-heavy curriculum versus skill development,” observed Sudha Sahay, Principal, The Shri Ram School, Aravali. “The world seeks job givers besides job seekers,” she said underlining the importance of skill development in schools. With rapid technological advancements, it becomes important to ensure that moral values and traditional teachings are not left behind. “Today, we are lacking in values. We need to bring in technology along with values,” observed Rajeev Chauhan, Principal, Sir Padampat Singhania Education, Kanpur. In this mad rush for technology, education too tends to take a backseat sometimes. “Nowadays, schools are infrastructure based and education-based schools have taken a backseat. 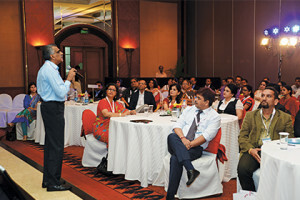 The human connect is getting lost,” said Arup Mukhopadhyay, Principal, Royal Global School, Guwahati. “Technology cannot connect you. Information anxiety makes you lost when you don’t know how to organise matter from the number of pages that Google opens before us. 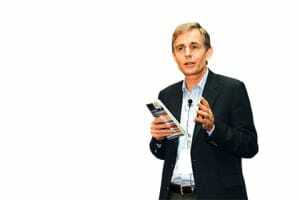 Human capacity to think, create and innovate has been badly affected by technology,” Arup fur- ther observed. New trends and technological advancements need our attention and understanding, more so to ensure the right balance between technological and traditional methods of education. Students today are well-versed with technology and can adapt to it much faster than earlier generations. “The digital student has arrived at school and there is no generation gap, but digital divide when it comes to students and teachers,” said Kaisar Dopaishi, Principal, Singapore International School. “When we look at the dynamics of edu- cation, we stand on certain premises. We have the 19th century curriculum, 20th century teachers and 21st century students. Piecemeal approach will not help,” he added. Not just students but teachers too need to be adept with the changing contours. “Teachers need to be up to date,” said Archna Jain, Princi- pal, DPS, Panipat City. “Technology has brought in an ocean of knowledge learn- ing and information to all of us. We have to be futuristic and tomorrow, virtual classes will be the buzzword,” she added. 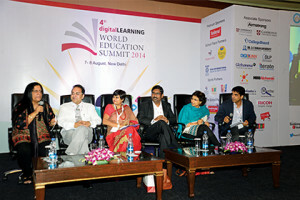 Technology as a tool comes with its own set of challenges, more so for the education sector. Talking about technology from a different perspective, Vivek Atray, Director, Secondary Education, Haryana, noted how technology can also become a disabler. “More than often, technology controls us, when we should be controlling it,” he said, adding that not enough stress was being laid on developing leadership in teach- ers to develop school leadership. “Under the Qualified Institutional Placement (QIP) programme in Haryana, we have not only stressed on school leadership, but also developed a class readiness pro- gramme,” he added. Perhaps the biggest advantage that technology brings to education is in reaching students and geographies that have not been brought into the fold yet. Rajesh U Purohit, Director, GCERT, Education Department, Gujarat, talked about their example in the state of Gujarat. “We have 26 District Institutes of Education Training (DIETs) and eight Colleges for Teacher Education (CTEs). Presently, the main function of all 27 DIETs is to impart training to teachers of primary as well as secondary in their respective districts. We have started a satellite-based education system. 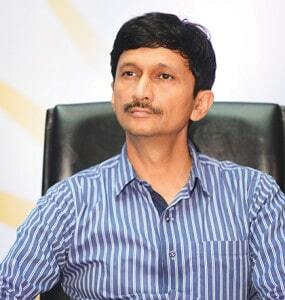 We have provided computers and TV sets to all schools in Gujarat,” he informed. Schools now decide a timetable accord- ing to these satellite-based telecasts. Fur- thermore, students in rural areas that do not have good teachers benefit from it. No doubt that technology-enabled learning is going to be the buzz in coming times and the biggest requirement therein is to bring a change in mindsets. This change is not solely limited to its acceptance but will have to be extended to a deep sense of its understanding. This will be crucial as it is the teachers who will be responsible for the correct use of these technologies both within and outside the classroom. 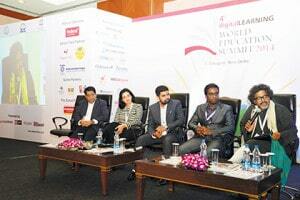 Education Leaders Conclave: Are Schools More Than Business? The role of a school in the formative years of a child’s life extends to several crucial functions that help shape a student’s future. It is important that educational institutions understand the role they need to play so that they mean business rather than just being one. However, in times where rising costs have not spared any sector, things are certainly not easy for schools as well. “Every business industry is affected with inflation. In today’s time, it takes `20 crore to `100 crore to set up a school and the ROI (Return On Investment) takes a minimum of seven to 10 years,” said Raj Grover, Chief Mentor, Kangaroo Kids Education Limited. “Today, people are struggling in the industry and this is frightening news. This is more so for the private sector in the crème league as they are keen to bring in technology and their sincerity towards bridging the digital divide is much more,” he added. While that may hold true in some cases, there is a general perception that schools today are increasingly shifting from their duties of providing education to making profits. “There are questions of survival with rising real estate cost etc. However, some institutes have very smartly separated academic delivery from business angle. There are separate teams for each,” informed Chandrashekar D P, COO, The JGI Group. “We do require a business model. But a profiteering model is what I have issues with. If we allow profiteering, we will have schools only in urban areas,” he pointed out. While schools are expected to fulfill societal obligations, at the end of the day they are businesses and need to be treated as such. “It is very volatile when we see business only as money. We have to broaden our horizon about what business is. It creates employment,” said Manjula Pooja Shroff, Founder-Director, Calorx Foundation. “Business is an ecosystem and productivity is the underlining factor. We know that as educationists, if we don’t give good results, there will be no productivity. We definitely require a business model for the sustainable running of educational institutes,” she observed. “Education is definitely more than business. Business is a repeatable process that makes money,” said Unni Krishnan Korotha CEO, Foradian Technologies Pvt. Ltd. The question of running a school with decent facilities is not based upon an institution’s choice to opt for a profiteering model or not. At the end of the day, schools are businesses and can continue to deliver quality education only if they are profitable. This is something that we, as a society, will have to accept. Education is said to be the most effective tool in bringing about a change in society. Given its potential, education needs to change too in order to cater to the various needs of a multi-faceted and pluralistic society such as ours. How can educators and the leaders in the edu- cation sector bring about the change that education needs? “There is a difference between Eduleaders and educators. Eduleaders are those who make policies and educators are the ones who imple- ment it. But there is a link,” said Kush Kulshreshtha, Principal, Central Academy School, Gwalior. “Today, many principals don’t support CCE (Continuous and Comprehensive Evaluation). We have the technology but who will handle it? First we have to work on the quality of teachers,” he said. Agreed C V Singh, Principal, Rawal International School, Faridabad. “Change must be for betterment and not just for bringing about change. As principals we have to work with our teachers and on the quality of teachers,” he said. If there is one unanimous view regarding the factors that can bring the change to education, it is on the need of quality teachers. Lack of teachers training is something that has led to a drastic fall in the quality of students. Other countries have set some good examples we could learn from. Elaborating upon one such experience, Jhansi Premanand, Founder, Greenwood Kindergarten, Hyderabad, spoke about how during her visit to Russia, she learnt that kindergarten teachers there are trained for 3 and a half years. “Although we are a very small school, I train my kindergarten teachers on a day-to-day basis. Teachers training programmes have to be improved in India,” she observed. Similar concerns were also aired by Shounak Lahiri, Principal, Banyan International School, Jammu. “We are not focussing on solutions for teachers as much as we should. We all know the problems. We should brainstorm and find ideas,” Shounak noted. In contrast, the importance of teachers and the traditional methods of teaching couldn’t have been underlined better than Ravi Kumar Bhardwaj, Principal, Department of Secondary Education, Rajasthan. Despite the challenging state of affairs in his village, teachers have worked hard to ensure success for stu- dents. The village had an ICT lab which has been closed for two years and the school has hardly any teachers. However, the few teachers that remain in school have faced all odds to produce good re- sults. “The school has given us 28 Indian Administrative Service officers and 10 of- ficers of the Indian Police Service,” Bha- radwaj informed. This experience should act as a reminder for all that change can- not be brought with introduction of tech- nology alone. The dedication of teachers and their ability to draw students towards learning is perhaps more important than the benefits that any technological tool can provide. In this age of free access to unlimited information over the Internet and the focus on personalised learning gaining momentum, schools too need to devise new methods and techniques that can enhance the experience and the outcome for stu- dents. Educators need to delve into the challenges that schools face on this front and the ways through which they can overcome them. Learning in today’s world is not limited to the realms of academics. According to Arun Khaitan, CEO, Sports Education Development India Limited (SEDIL), with academic compulsions of schools pushing sports behind, physical activities receive scant attention. While pushing students towards physical activities may be one challenge for schools today, there are other issues too. Colonel Atul Sekhar, Principal, Atul Vidyalaya, Valsad, be- lieves that the life of an urban child today is saturated with media. 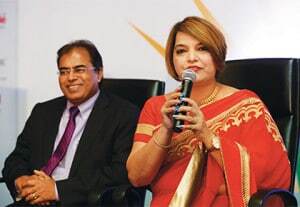 “For me, pedagogy is the biggest challenge for today’s teachers and it is the innovative teaching techniques and the child-centric techniques that we have to take into account,” suggested Dr Vandana Lulla, Principal, Podar International School, Mumbai. “Pedagogy is teaching techniques. We were one of the first schools to intro- duce I-pads for learning. A teacher has to be a facilitator today. She has to pass on the charge to the students. It has to be research-based learning,” she explained further. The balance between human interface and use of technology is extremely crucial and is pointed out by the academia time and again. “It is true that we have to balance the human aspect and technology in the Internet age,” said Nirmal Mahna, Director Academics, DCM Public School, Jammu. “As a principal, I visited several secondary and higher secondary schools in rural areas of India, and realised how they are lagging behind. They did not even know about CCEs and there were no records for it,” he added. These instances and experiences go on to show how important it is to address issues pertaining to education in the rural areas of the country. If the scenario of education is to improve in India, the change needs to begin with the villages and small towns. Early childhood education and care can lay the foundations for later success in life in terms of education, well-being, employability and social integration, especially for children from disadvantaged backgrounds. For institutions, it becomes all the more crucial to keep the focus on the child and his needs. Brain development in the early years of a child should be encouraged through innovative measures, believes Swati Popat, President, Early Childhood Association and Director, Podar Jumbo Kids. “Reggio Emilia, as a philosophy, is taking the world by storm. It is superseding Montessori, which is sad as both should be used together,” she observed. The scenario in India in terms of chil- dren’s education is far from ideal. “Children are not at the centre. Parents put pressure on what a child has to do, and children mostly don’t follow their talents, abilities and passions,” observed Rajeev Gupta, Director, Golden Bells Pre School. There is too much importance attached to IQ though it constitutes only 25 per cent of one’s existence, he says. “Why can’t we focus on Adversity Quotient (AQ), Creativity Quotient (CQ) and Emo- tional Quotient (EQ)?” he asks. Experts also suggest that brain research can tell a lot about a child’s inclinations. “We should be child centric. We must look at brain research and what that tells us about how children work and then translate that theory into actual practice in our classrooms,” said Anshul Arora, Founder and CEO, Edvance Group. While discussing ways to keep the child at the centre of developments related to him/her, it is essential that teachers and parents understand that each child is different from the other and their needs too differ accordingly. “The more they are exposed to sensory experience, the more enriched they are,” said Hazel Siromoni, Managing Director, Maple Bear. “Also, we look at skill development at a later stage in life. We forget that skills develop right at the early years,” she added. Parents and teachers have a crucial role to play when it comes to the child’s overall development. The process, however, is not temporary. “It takes every minute of your working life to keep the child at the centre of it all,” said Pooja Goyal, Director, Intellitots. “You have to take parents and teachers along to keep the child at the centre of it all. We have to take the teachers along to implement the strategies,” she added. From `1.2 trillion in 2010 to `2.3 trillion in 2015, the pre-school industry is growing at a fast pace. “In 2010, it was a `1.2 trillion industry and will be worth `2.3 trillion by 2015, which means over 15 per cent growth. 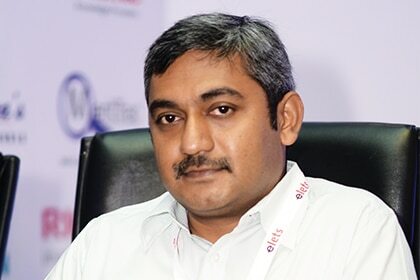 The demand is growing in tier II and III cities and investment from private players is increasing,” A S Ganesh, Founder & Managing Director, Smartkidz Educare India Pvt. Ltd informed. “Education is useless without values. We need to keep young age in mind where the ability to absorb is very high,” he added. With such a fast pace of growth reg- istered in this industry, it becomes all the more crucial that the child’s needs are understood and discussed in detail between teachers and parents. Understanding a child’s individual needs and acting upon it will go a long way in shaping the future of the child and his ability to contribute to the society and the nation at large. Every child has different needs and adapts to things differently. Education leaders to- day have to realise the need for adopting universal designs of learning, its benefits and the impact it can have on a child’s learning in today’s shrinking world. John Shackleton, Senior Training Consultant, The British Council, New Delhi, and the experts together concluded that educationists need to have attributes like being self-driven and committed, aware of the teacher learning process, have good interpersonal skills, and be open to change. “We have to realise the fact that we can’t train everybody at the same level,” said John. With the advent of technology, the world is getting smaller with every passing day. Traditional methods of teaching have their own advantages but teachers too need to understand the chang- ing contours and demands of the new age. “Don’t concentrate on how to teach, but also teach how to learn,” said Anil Anantrao Dhumkekar, President, Narayana’s Kids Primary English School. “Inclusiveness brings strength and better results in a society,” noted Prafulla Mani Pradhan, Principal, Confluence World School, Rudrapur. “Education needs designs that take into account slow learners and children with disabilities,” he added. It was drawn that both teachers and students need to be life-long learners, and there should always be innovation happening at each stage. The process of adapting to progress and technology is never-ending and through the right examples, leaders and institutions need to ingrain it in the minds of students and teachers. Education, at the end of the day, needs to be multi-faceted and changing with the times is wise and will be fruitful for the future of individuals, institutions and the nation alike. Innovation is crucial for society as well as the economy. There is need for cultivating and encouraging innovation at the school level. Schools need to cultivate interest towards innovation among its students. There needs to be a clear understanding of the ways that it can be done and the impact that it can have in the long run. William Bickerdike, Regional Director, South Asia at Cambridge International Examinations asked the participants to discuss the innova- tive measures being taken by various schools to introduce innovation in their school. In response, a plethora of such initiatives came up. 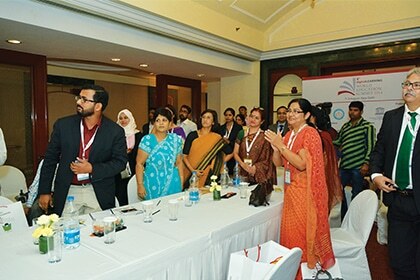 From imparting values right from the age of two to health foods and concentrating on human excellence, participants discussed various efforts undertaken in order to create an environment for teachers to innovate and not to force it upon them. The educators agreed that learning should increase but teaching should decrease. “The Principal has an important role to play in innovation and leadership. Make innovation an explicit core value of your school and give that space for innovation,” said Yasmin Contractor, Principal, Summerfield School, Gurgaon. “There will be risks and failures but don’t let that affect you,” she stressed. “We have to reach beyond our schools. We have a community outreach programme where our students choose the groups they will work with,” said Kavita. C. Das, Principal, St.John’s High School, Chandigarh. Speaking of innovation, Ritu Gupta, Principal, Indraprastha Global School, Noida, informed that they begin meetings with the new things teachers have introduced in their classes. An excellent example came from Satyabrata Minaketan, Principal, ODM Public School, Bhubaneswar, whose students, while working with victims of Orissa floods, were left in a situation where there was no electricity. Driven by the need to stay connected with technology, one of the students invented the Walk a Mile mobile charger, which is a pair of shoes that can charge your mobile device depending upon the distance you cover walking. Several survey reports point to the lack of innovation and research in our educational programmes. It is initiatives such as these that can provide a muchneeded boost to bring the desired changes. This does not require just smart brains, but also an understanding and encouragement of a child’s interests on part of teachers, parents and schools.